Episode 8: Our First RV Show Experience! 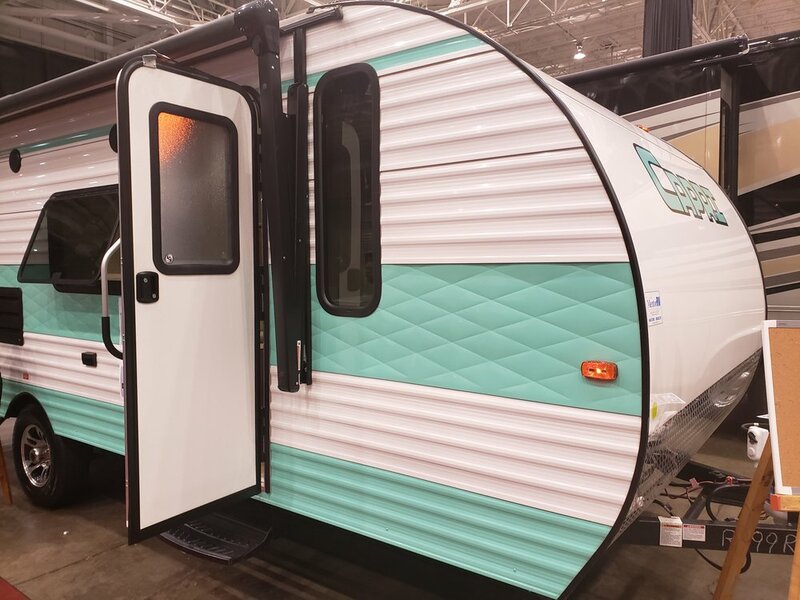 We went to our first-ever RV show! As much as we love our current teardrop trailer, we know that one day we're going to need to upgrade. 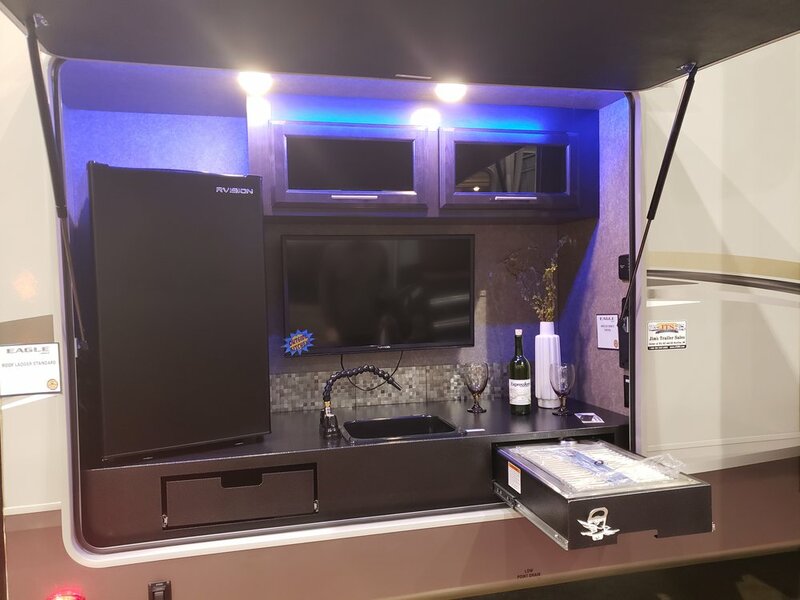 The recent Ohio RV Supershow was the perfect excuse to start scoping out the options. We learned a lot about one another’s personal preferences for RV life, hung out in a motorhome that had a kitchen larger than our house's kitchen, and Scott got one step closer to living his dream of meeting Yogi Bear. Take a listen! Want more Tow for the Road in your life? Subscribe on iTunes, Google Play Music, Spotify or wherever you enjoy podcasts. And if you already subscribe and enjoy it, be sure to leave a review. Thanks for listening! 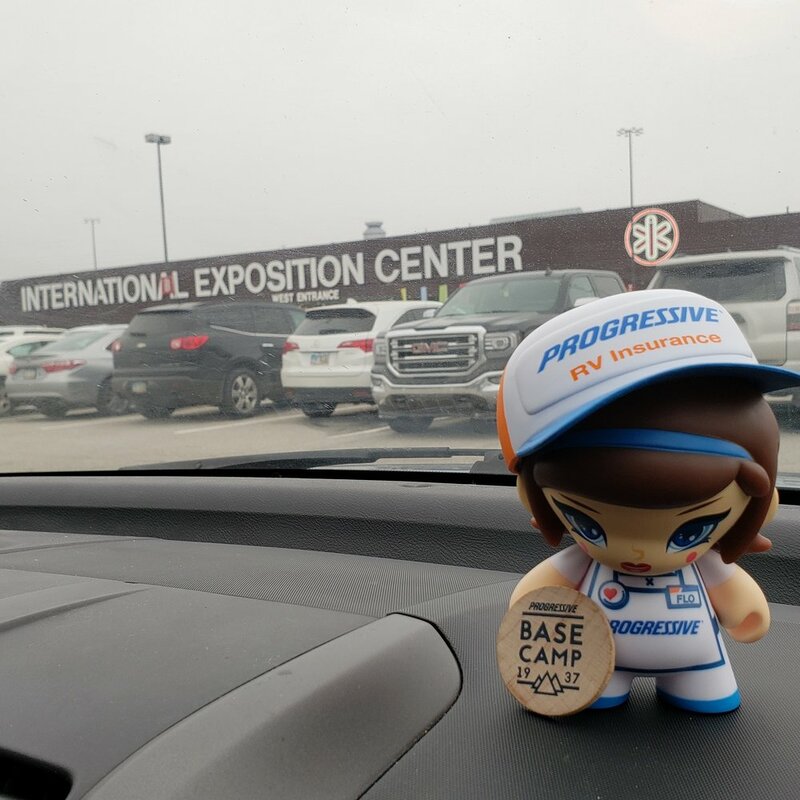 Where we recorded: If you live in Northeast Ohio and a large consumer show is coming to town, there's a good chance it's taking place at the International Exposition Center. 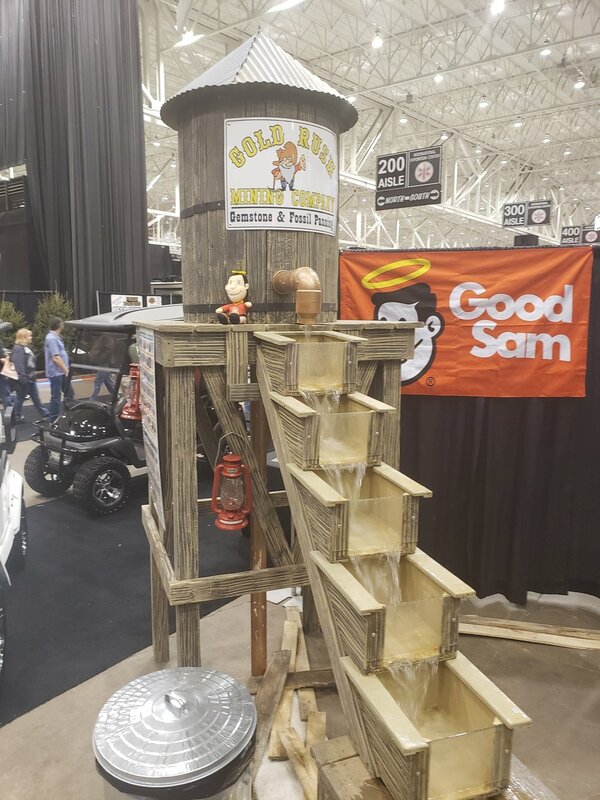 Whether it's a home and garden, food or some combination of car/RV/boat show, the I-X Center is frequently being transformed into vendor showcases of whatever you may need. Their parking lot made for a convenient spot to record this episode, plus they have a ferris wheel with Flo from Progressive's face on it! 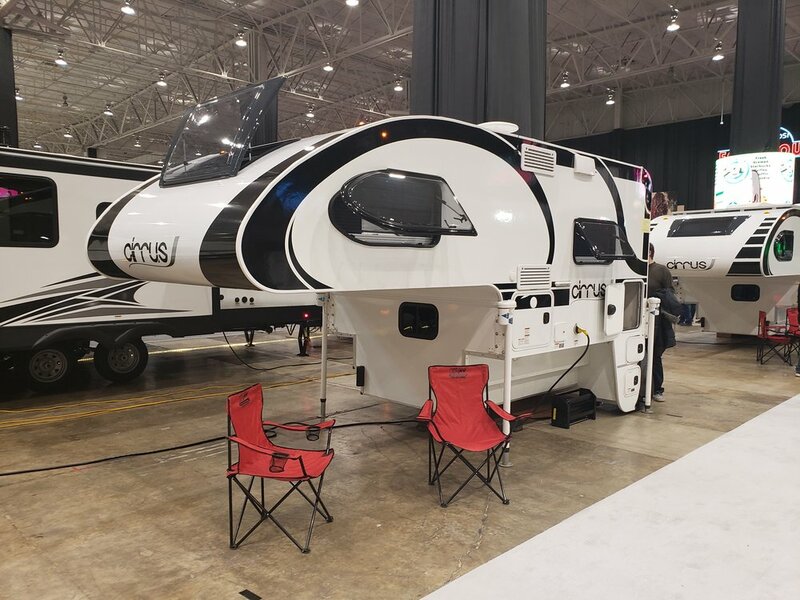 Ohio RV Supershow: In its 43rd year, the Ohio RV Supershow is hosted by the Great Lakes Recreational Vehicle Association and brings together Northeast Ohio’s top RV dealers and campgrounds under one roof. 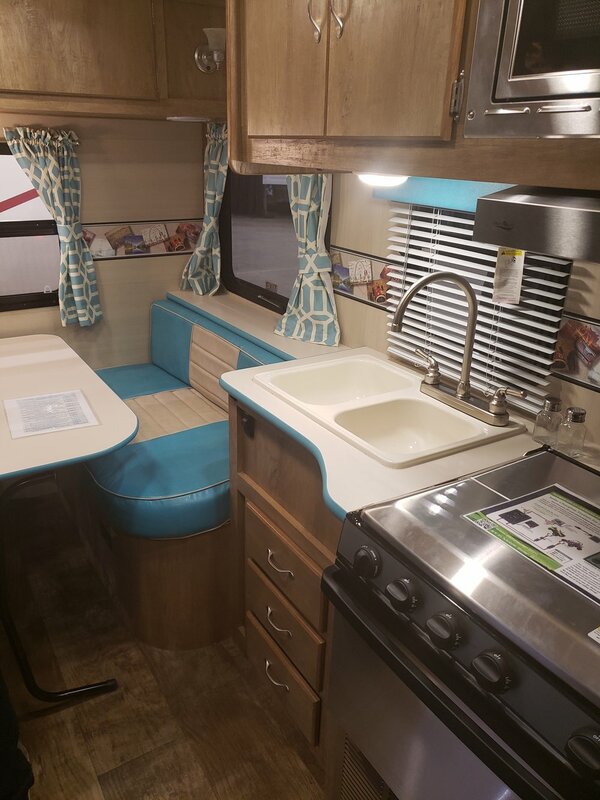 We toured everything from teardrops, pop ups, and travel trailers to 5th wheels and motorhomes. 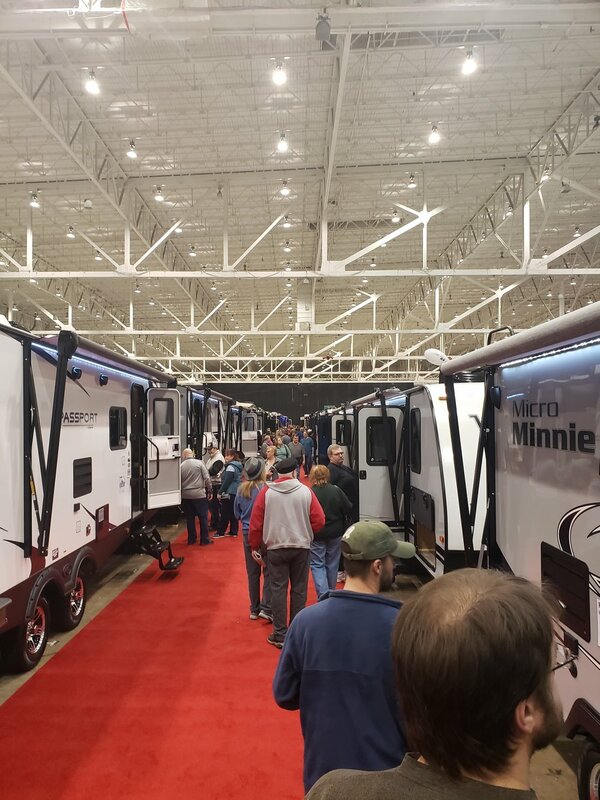 If you're considering getting a recreational vehicle, the Ohio RV Supershow is definitely an easy way to get a feel for different trailers and score a good off-season deal. Ohio Campers Campground and Travel Guide: The 2018 edition of the Ohio Campers Guide was a great resource when we first started looking for places we could visit with our teardrop. 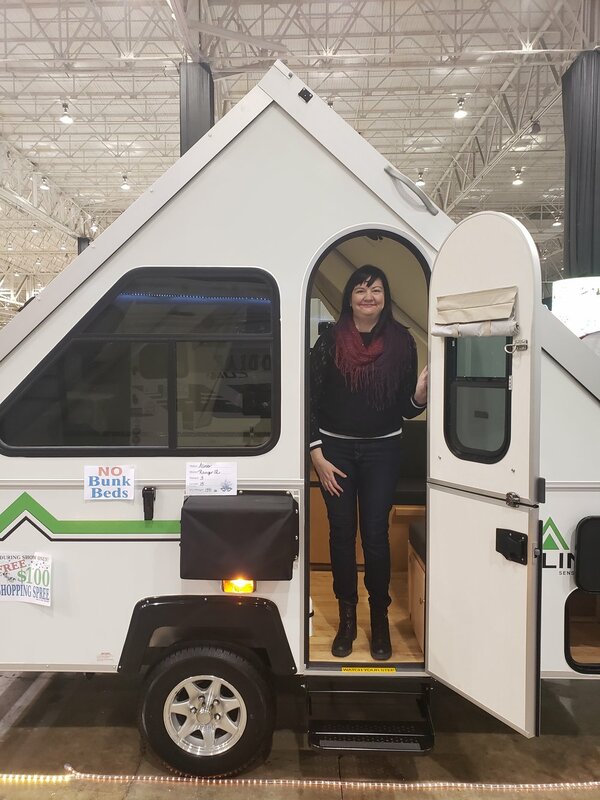 Needless to say, Amanda may have gotten just a tad excited when she saw the 2019 edition at the RV show. Looking to dip your toes in the waters of Ohio tent, RV or cabin camping? Download or order it here!